When artist Jamee Linton moved to Portland five years ago, she chose the Rose City without visiting it. “The first time I saw the city was with my moving truck,” she says. “I wanted to live somewhere different. Linton, 31, grew up in Aiken, S.C., where her main interests were art and sports. She selected her art school—the Savannah College of Art and Design in Atlanta—where she earned a B.A. and M.F.A. in painting, because it was the only art school that had an athletic program. “I was able to help pay for college, play sports and explore art,” she says. Linton also works in charcoal and mixed media. She often gives her landscapes names that provide little or no information on where the scene is set, which gives people the opportunity to form their own interpretations. “I like how a landscape can be wherever you want it to be and you can form your own memories,” she says. “People always see other things in my landscapes, and I’m always interested in what people bring to the painting.” The 48-inch by 48-inch acrylic-on-canvas painting is $3,500. Contact artist Jamee Linton via her website, jameelinton.com. 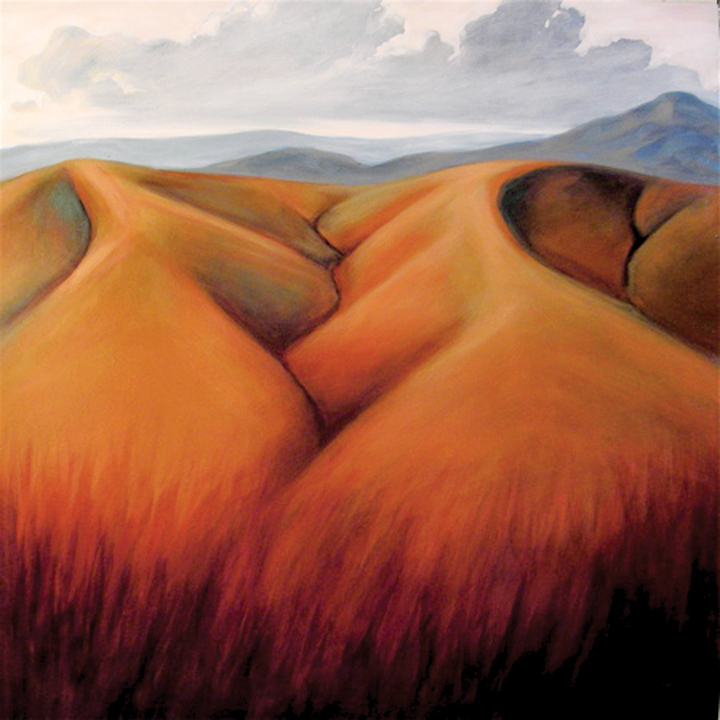 Her work is also at the Guardino Gallery (2939 N.E. Alberta St., 503-281-9048) in Portland and at the Foxgloves Gallery (35890 Seventh St., 503-368-3909) in Nehalem, Ore.